Come for the food. Stay for the wine. 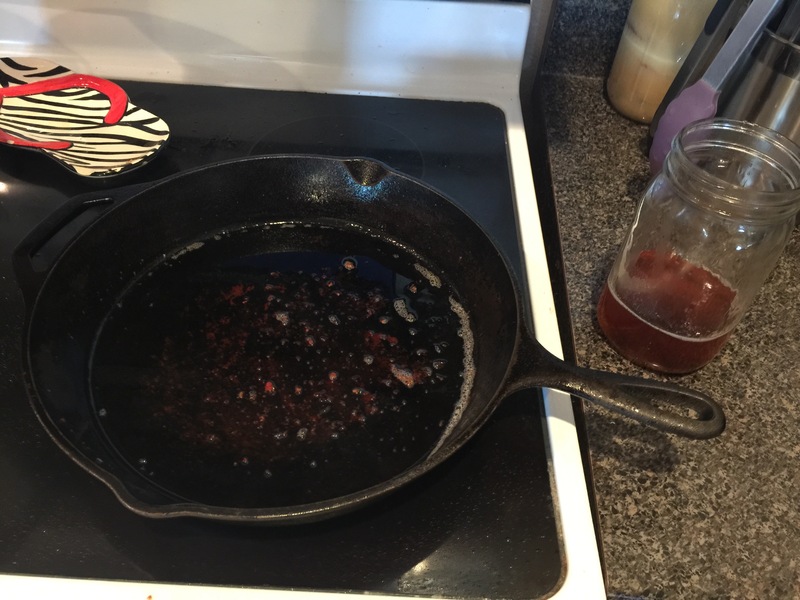 Y’all remember from my last post about smoking meatloaf and how delicious it was. 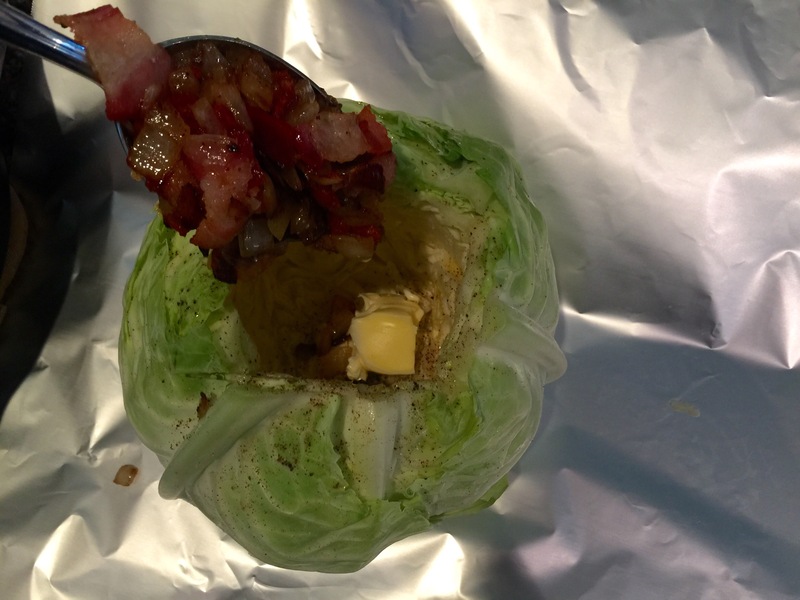 Well this time we decided to smoke some stuffed cabbage, which again was inspired by seeing it on a restaurant menu at a BBQ place. 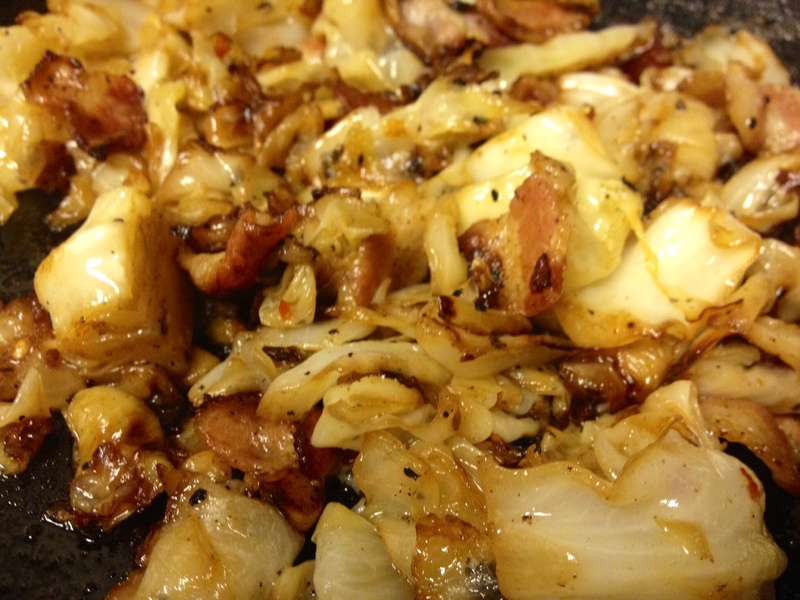 It was so good and I hope you’ll give it a try the next time you’re considering sides for your next BBQ. 1. 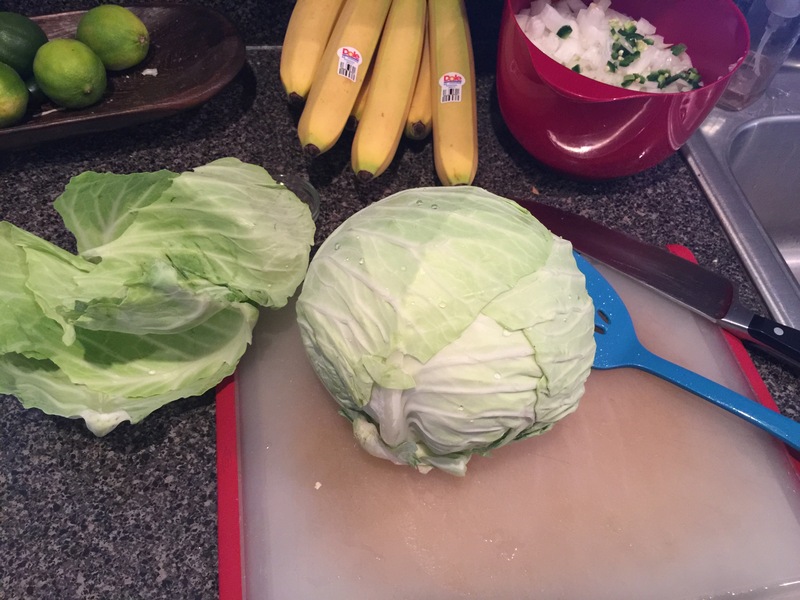 First prep your cabbage head by peeling off and discarding the outer leaves. 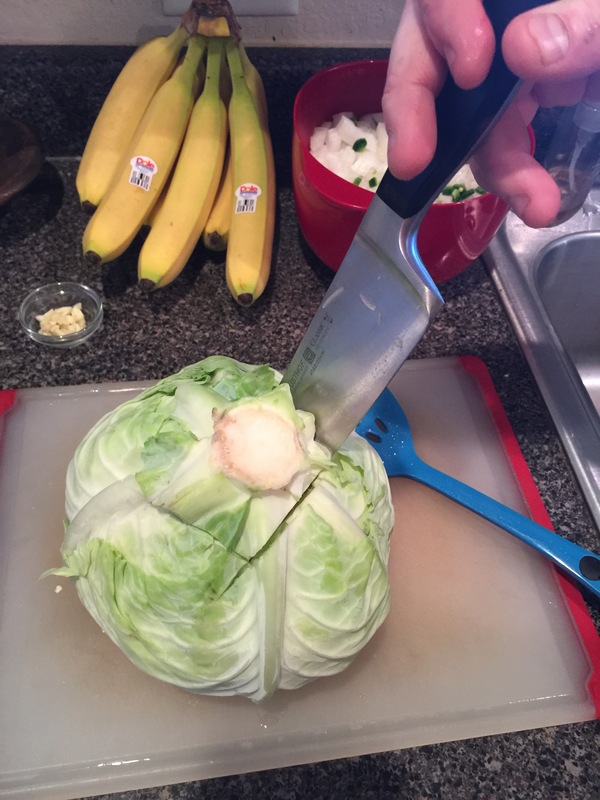 Then core it by using a sharp knife to dig out the core and scoop out enough room to stuff it. 2. 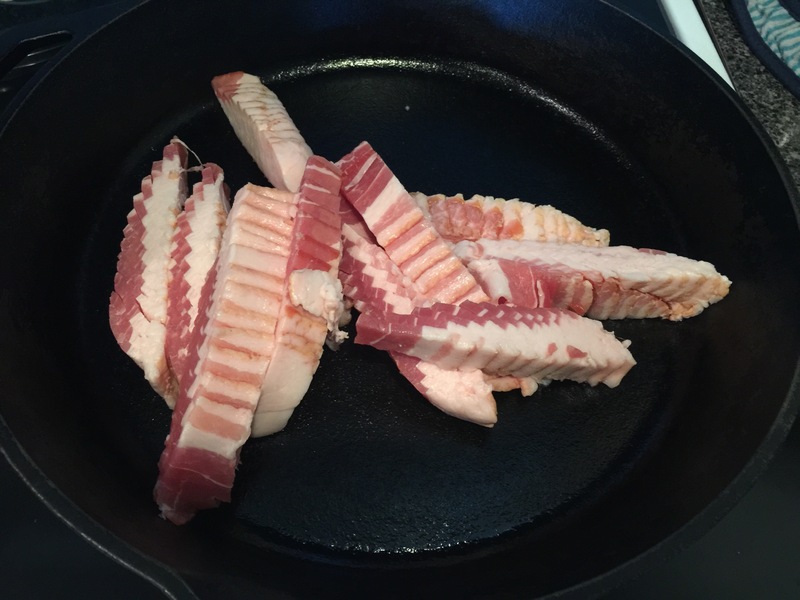 Slice your bacon into bite size pieces and cook in your skillet. 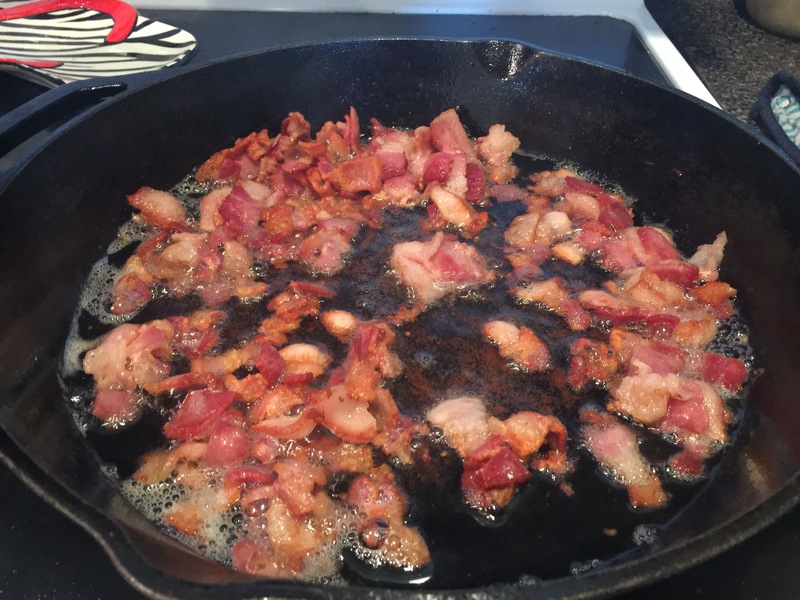 Then take out the cooked bacon and place onto a plate with a paper towel to allow it to drain and remove all but a couple spoonfuls of the bacon grease from the skillet. 3. 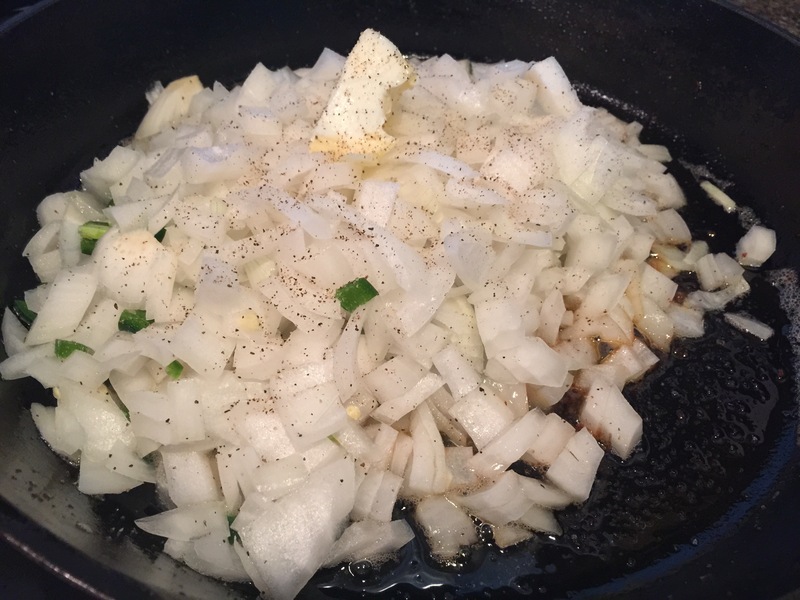 Now add your chopped sweet onion, jalapeño, salt, pepper, and 1 T of butter and sauté for about 15 minutes allowing the onion to caramelize. 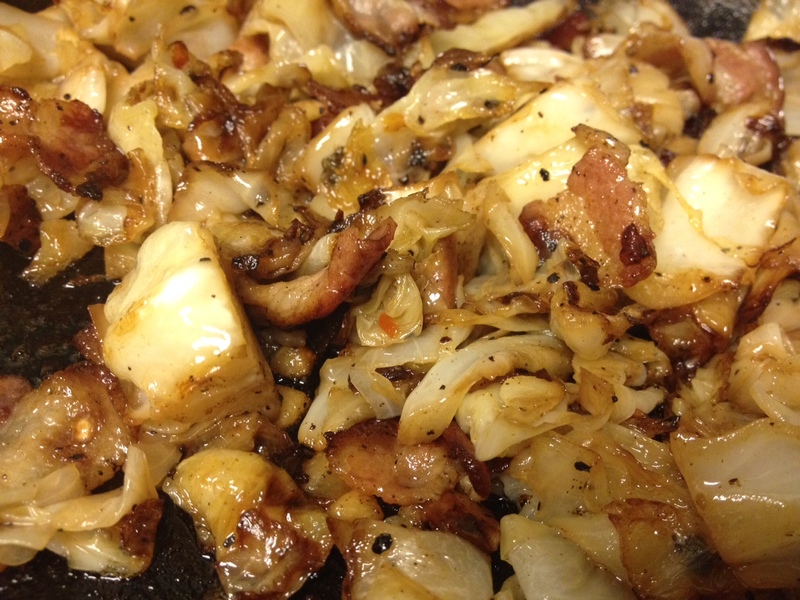 Then add your garlic in and cook another 5 minutes or so. 4. 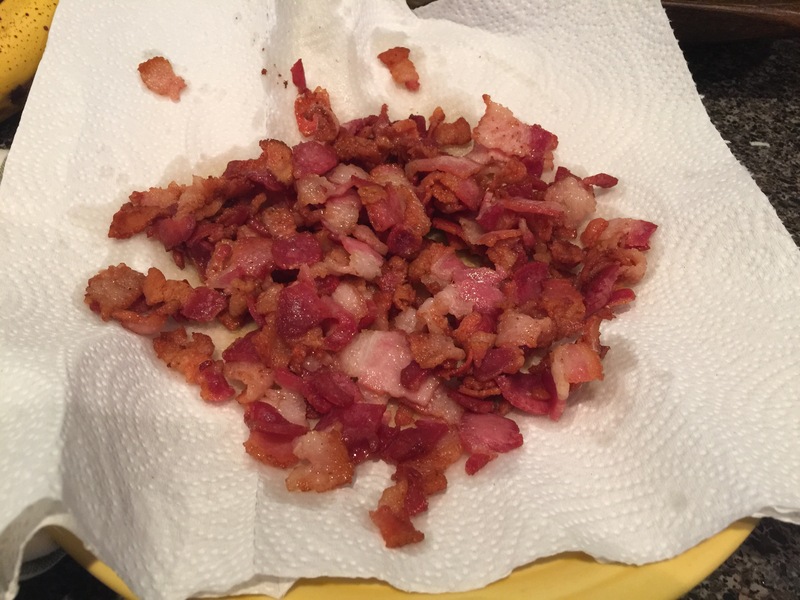 Turn the heat off and add your bacon back to the mix. 5. 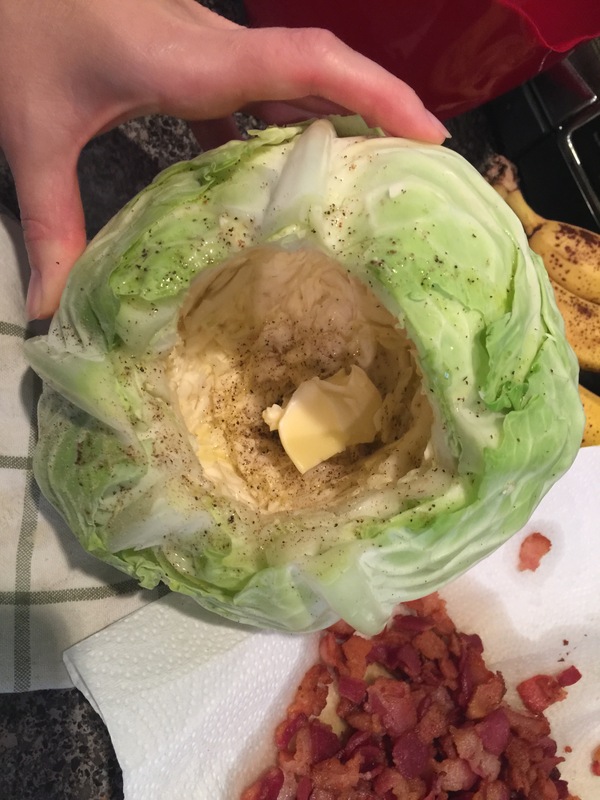 Drizzle the inside of your cabbage head with olive oil, season with salt and pepper, and add your other T of butter. 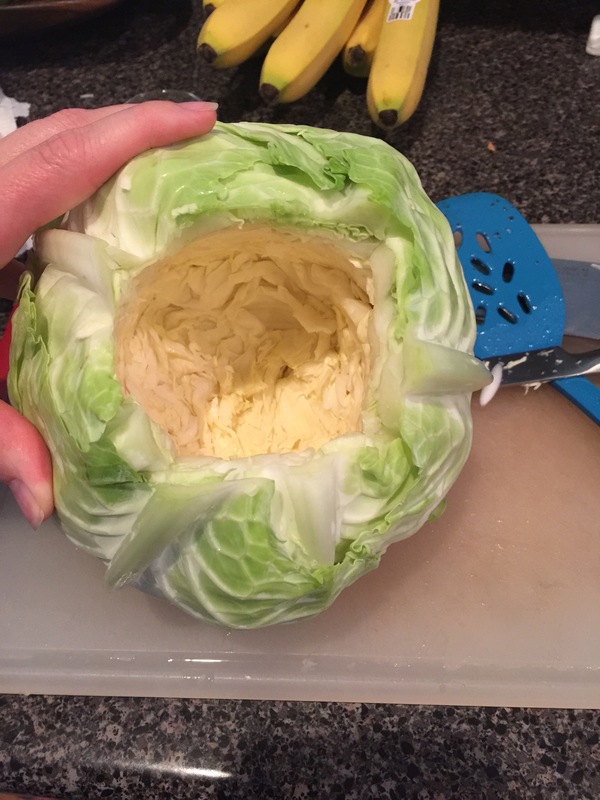 Then begin to fill with your stuffing. 6. 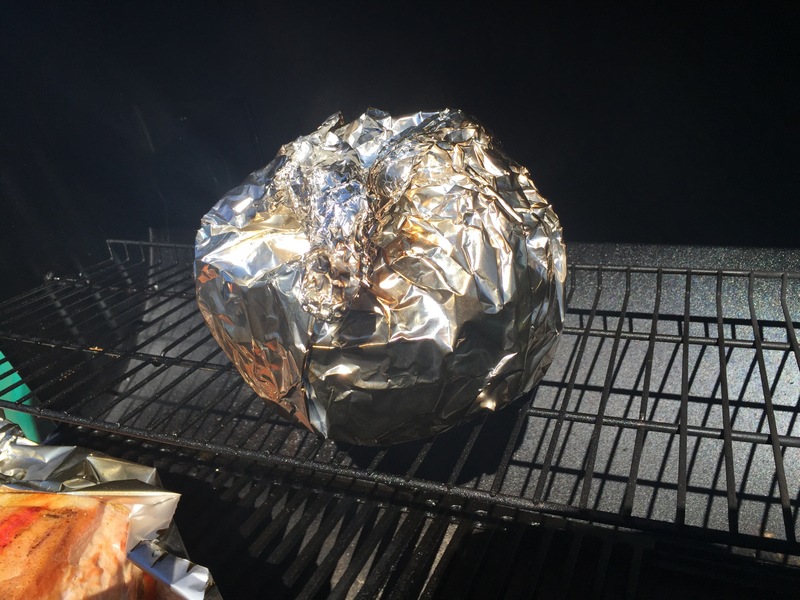 Now wrap it all up in foil and put it on your smoker at 225F about 3 hours. 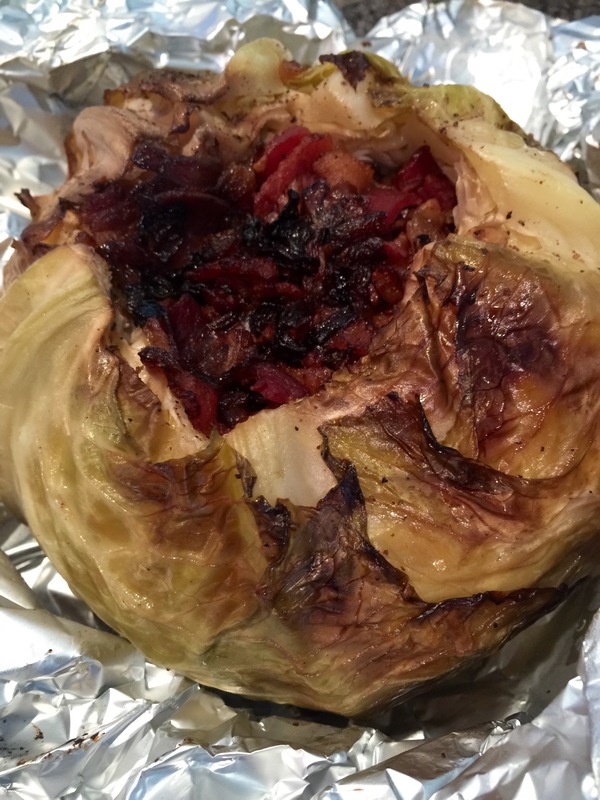 Your cooking time might vary depending on how hot your fire is and the size of your cabbage, but you’ll know it’s done when the cabbage turns very soft. 7. Once it’s cooked bust that puppy open like a bloomin’ onion and chow down! 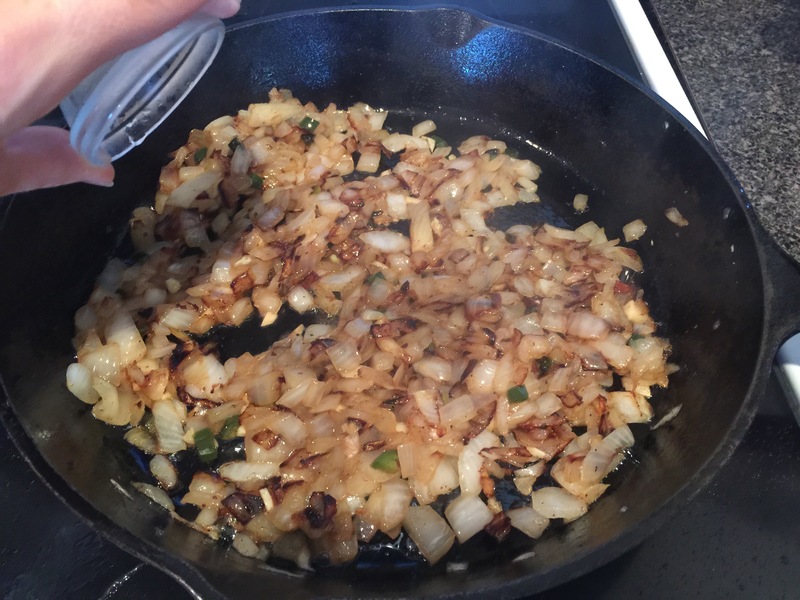 This is one of the cheapest, most delicious ways to add a side to your dinner. 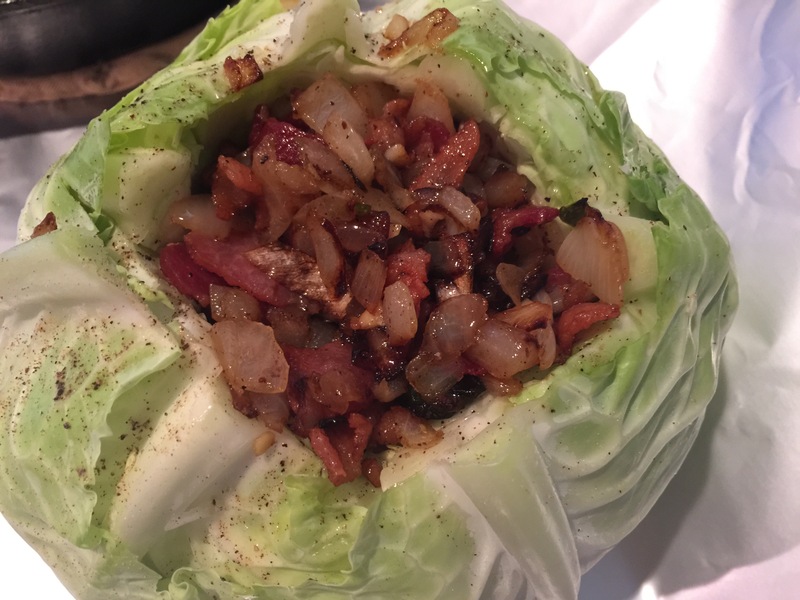 I dare you to tell me you don’t like cabbage after eating this! 1. 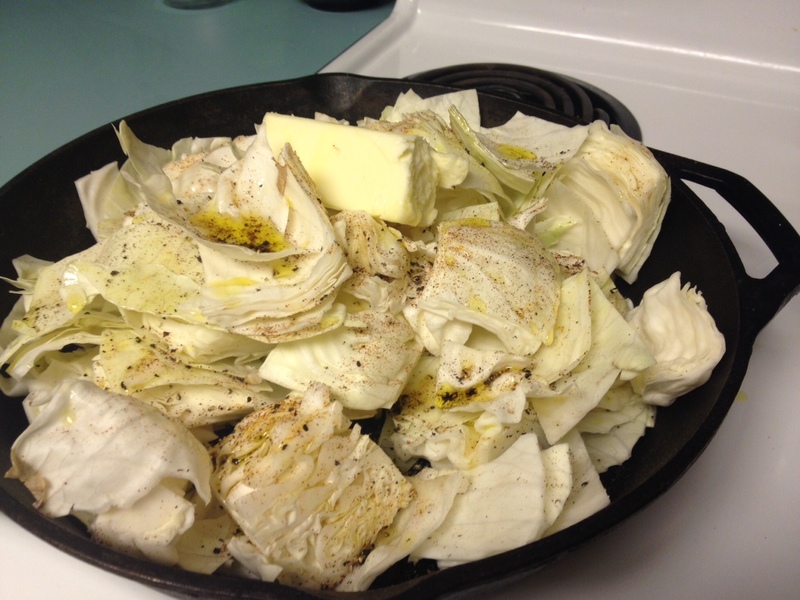 Add cabbage, olive oil, butter, cayenne and red pepper, salt, and pepper to saute pan and set to medium-high heat. 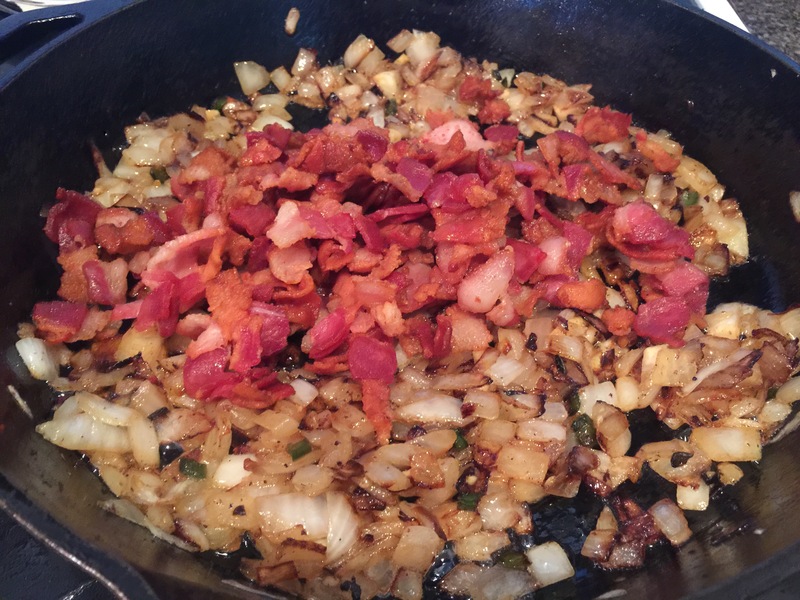 Saute for about ten minutes. 3. 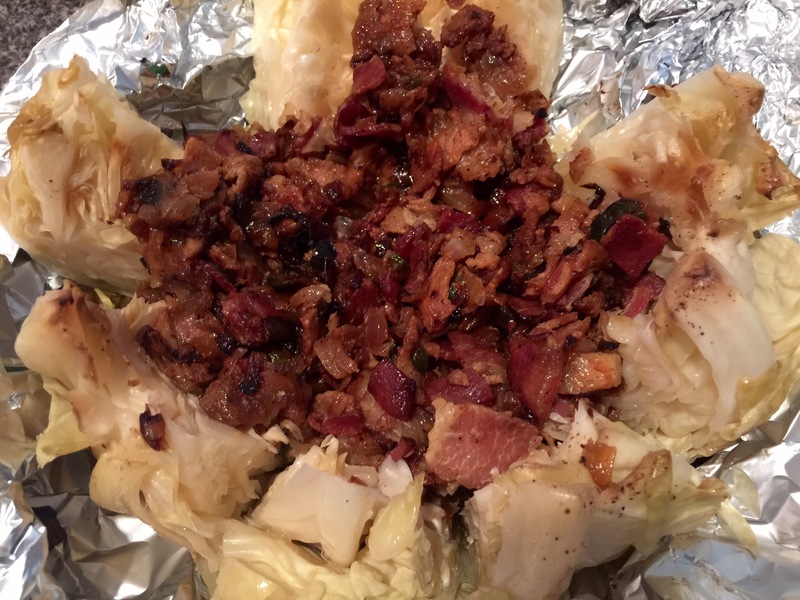 Bask in the greatness that is cabbage. Wonder why you never ate it before. Sit in the shock that this is cheaper than dirt!